I've made a very simple concept of the most perfect smartphone in the world! (in my opinion.) i call it "The Archphone". It's a Blackberry Bold 9900 with some simple changes. Some of you might know it from the german Arch-Forum. What os is it running on? I mean if the phone would exist. But i think a "smartphone" with archlinux and all its possibilitys would be great! Add Strg... err... Ctr and I'm a fan. Uh.. Damned! 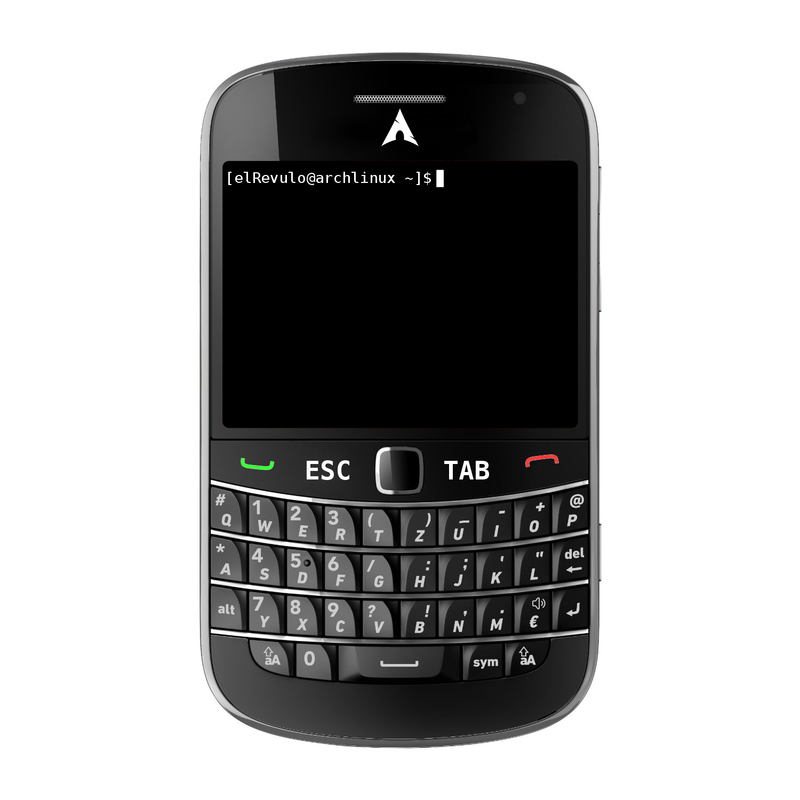 I thought i made a ctrl-Button, but i forgot it..
A smartphone with ARCH I go for it!! This is for artwork and screenshots only. Not many phones have x86 cpus so we are talking about ARM, which is not supported here. Also necro-bumping.